The Celosia is a sun-loving plant that can be planted in a container or garden border. These vibrant flowers thrive in any sunny spot! 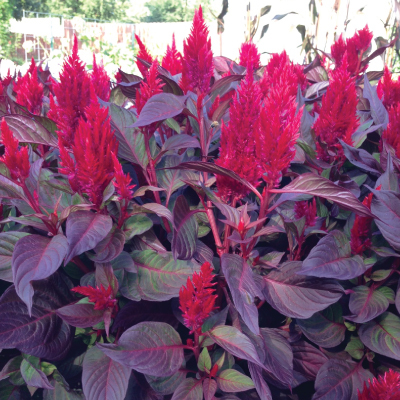 The Celosia is an annual flower that is easy to care for and attracts butterflies. These flowers also last long cut in a bouquet! The New Look Celosia is an All-American Selection winner and customer favorite for its uniquely beautiful look it brings to the garden.